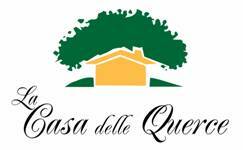 Go on for about 2 km and then turn left for “La Casa delle Querce”. Montepulciano is only 5 km from “La Casa delle Querce”. It is a lovely small Renaissance town, 600 m. above sea level, of Etruscan origin (IV cent. b.C.). Legend says that it was founded by King Porsenna of Chiusi. It has beautiful Renaissance palaces, ancient churches, an interesting Civic Museum . Montepulciano is known all over the world for its Nobile Montepulciano wine, renowed since the 8th century. A visit to the historic wine cellars would be an unforgettable experience. Pienza (18 km from La Casa delle Querce) takes its name from Pope Pius II (the Renaissance humanist Enea Piccolomini who became pope). A real pearl of Renaissance, the town was declared a World Heritage Site by UNESCO in 1996. The magnificent Piazza Pio II is bounded by four very important and beautiful Renaissance buildings: Palazzo Piccolomini, the Cathedral, the Palazzo Vescovile and the Town Hall. Cortona (20 km from La Casa delle Querce) is one of the most ancient Etruscan towns and still preserves remains in the ring of walls and in the double-arched gate of Porta Bifora. In the surrounding countryside there are some burial-mounds and an Archeological Park. Cortona is located on a hillside 600 m. above sea level and from this dominant position offers a spectacular view over Valdichiana and Lago Trasimeno. With its typical steep narrow streets, the town is essentially medieval in architecture of its buildings and churches. Lago Trasimeno (20 km from La Casa delle Querce) is located where Umbria goes into Valdichiana. It’s the fourth-largest lake in Italy. It played an important role in Roman history as the site of the famous Battle of Trasimeno where the Carthaginian general Hannibal destroyed the Roman Army in 217 b.C. . Of its three islands, Isola Maggiore is the only one that is still inhabited and continue to preserve its 15th century fishing village atmosphere. A journey around the lake and in the Natural reserve “La Valle” Oasis is a delightful way to spend a day. Orvieto is one of the most important and prettiest towns to visit in Umbria. It has a spectacular position as if suspended from the summit of a tufa hill formed from an ancient volcanic eruption. The town is rich in impressive ancient monuments, churches and noble buildings . The Duomo, the symbol of the town is an amazing masterpiece of Gothic and Romanesque architecture dating back to 1290. Orvieto is also an underground town riddled with tunnels and wells dating from the Etruscan period. The most spectacular well is the one of San Patrizio.